Oppo R15X Pricing and Full Specifications Have Appeared on China Telecom Website - Playfuldroid! A new Oppo phone with OPPO R15x has appeared on the website of China Telecom. It has a model number of PBCM10. The same model was spotted with PBCM30 and PBCT10 Oppo phones on the website of TENAA authority in China in September. 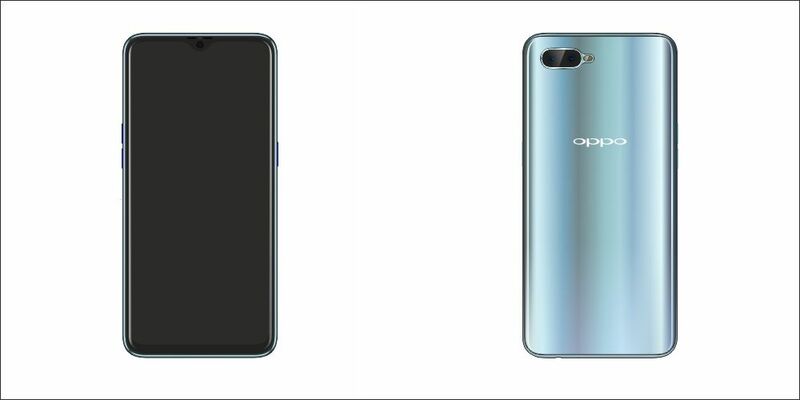 The PBCM30 smartphone recently went official as Oppo K1 and it appears that the PBCM10 may soon get announced as Oppo R15x. The China Telecom website has revealed the entire specifications of the smartphone along with its images and pricing. Like the Oppo K1 smartphone, the Oppo R15x features an in-screen fingerprint scanner. It is fitted with a 6.4-inch AMOLED FHD+ screen with waterdrop notch. The Snapdragon 660 SoC powers the smartphone. It has a selfie camera of 25-megapixel. The back panel of the phone is fitted with horizontally aligned 16-megapixel + 2-megapixel dual camera system. It is preinstalled with Android 8.1 Oreo OS. The Oppo R15x has been mentioned in two variants on the website of China Telecom. The base model has 4 GB RAM and 128 GB storage whereas its higher edition includes 6 GB RAM and 128 GB storage. Both models are respectively priced at 2,499 Yuan ($362) and 2,599 Yuan ($376). As of this writing, there is no confirmation on the launch date of Oppo R15x.